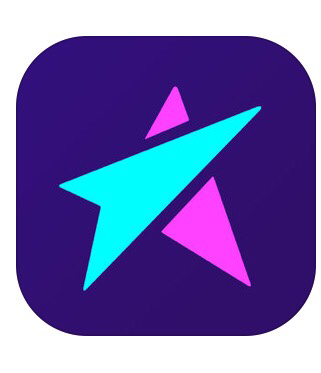 If you haven’t been living under a rock for the past week then you probably at least have heard about the new mobile game called Pokemon Go that is now the number one app downloaded on the Google Play and IOS App Store. Pokemon Go has been out for less than two weeks and stats are showing that the app is being used more than Instagram, Snapchat and even messaging with and average of 43 minutes of use per user per day. This is the first time an app has been this out of the Shute popular since Facebook released their app. Pokemon Go is a game developed and programmed by Niantic, a programming division inside Nintendo Inc. The original company actually started a different augmented reality based game called Ingress before getting bought out by Nintendo after they seen its popularity. Now users are reaping the benefit of a stable Gps driven game. Pokemon Go is built on Ingress servers with the power of Nintendo and Pokemon behind it. This is by far Nintendo’s biggest mobile app launch yet under the Niantic name. Before I get into what the game is, let me define this games program engine and how it works. This style of game is called augmented reality. Augmented reality is a live direct or indirect view of a physical, real-world environment whose elements are supplemented (or augmented) by computer-generated input such as sound, video, graphics or GPS data. It is related to a more general concept called mediated reality, in which a view of reality is modified by a computer. As a result, the technology functions by enhancing one’s current perception of reality. This is when a programmer uses the camera on your mobile device to let the user see things through their devices that are not really there. They uses Gps on your phone to know where you are and where the item is that you are interacting with. You have to hold your phone up and the app uses your camera to show you digital images or data that is not really there. This technology will continue to evolve (Pokemon Go pun intended) into other apps. Now that you have an understanding of augmented reality, lets dive into what Pokemon Go (the biggest augmented reality app to date) is all about. Pokemon Go is available on both major app markets IOS and Google Play for free with in game purchases of course (they have to make their money somewhere). After the app is downloaded, you begin by creating your account. You have two choices on launch screen for registering your new Pokemon Go account. One choice is to create your own Pokemon account with basic information including email address or the other misusing an existing Google account. I had a couple people ask me about articles they have read online about your data being used when you use Google. Rest assured people, Google is getting their data anytime you use any Google product, this isn’t anything new that Google is doing. What extent? No one really knows. And Apple has admitted to some data mining as well. It is nature of the beast and it is not going on everywhere. If you don’t want to be a part of that, then you would have to take yourself completely off the grid by staying off the internet and away from anything that has access to the Internet. Now that I have explained the obvious, lets get back to Pokemon Go. After an account is created, you are able to customize the look of your trainer. Select a male or female and customize their clothing and look. The basic gameplay story is you create a character (trainer) then go out and catch pocket monsters (aka Pokemon). Once you have captured them you collect them, train them and fight them against other trainers. The hunting of Pokemon is what is getting people outside and moving around. There is a total, as of launch (more to be added with updates) of 250 different Pokemon. To find them you must walk around and use your phones camera to see where they are around you. Different Pokemon will spawn in different areas. Sometimes if you are close to water, you might spawn more water based Pokemon to capture for example. Once you locate a Pokemon, you have to throw a poke ball at it to capture it for your library. You do this by sliding your finger towards the Pokemon and throwing a poke ball at it. You can run out of poke balls, but those are obtained by visiting what are called Poke stops. Poke stops can be seen on the map and accessed when you get near them. These predetermined areas on your map can be accessed and the player will receive poke balls or other items that will enhance your Pokemon captures . Once you have a Pokemon captured, you will be able to power it up with items you collect from collecting multiple of the same race of Pokemon, or items from Poke Stops. Once you power your Pokemon up strong enough, you are able to go to gyms and fight them. Gyms are designated areas (just like poke stops). That allow you to use your strongest Pokemon to battle other players Pokemon’s. If you win that gym, then your Pokemon will receive awards (loot and coin) for holding it by not being defeated by others over a 24 hour period. One thing you might hear your children, husbands or wives talk about are factions. Inside the game at level 5, you must select a faction to fight for. There are 3 factions. Yellow, Blue or Red. Yellow faction is called Team Instinct. Blue faction is Team Mystic and red is Team Valor. This is just like choosing a team to be on to fight other teams. Once you fight a Pokemon at the gym, the winners faction (yellow, blue or red) will run that gym. It will change the color of it on players maps so they will know what faction the gym is representing at that time. So as you can tell, this game makes players walk around areas hunting Pokemon’s, looking for items to power them up and finally fighting them after you have evolved and powered them up. I gave Pokemon a very low threat level due to the zero connectivity to other players. At this point, you cannot connect to social media or other players. There is no social side to this game other than running into other players as you are walking around in the real world collecting Pokemon. Remember that these poke stops and gyms remain in the same place, so people will learn where to watch for people playing Poke mon. No need to be overly paranoid, just be aware. Also, some Pokemon come out at night only, so make sure your children are not trespassing on property such as parks or recreation centers after hours. I have talked to several fellow Pokemon Go players as I am playing. There are future updates to add abilities to trade captured Pokemon to other Pokemon trainers. There will have to be some kind of digital communication for that part, but no updates has been released yet. As for the question I got asked about if it is safe to let my kids play, and just l teach with all apps, play with your kids. 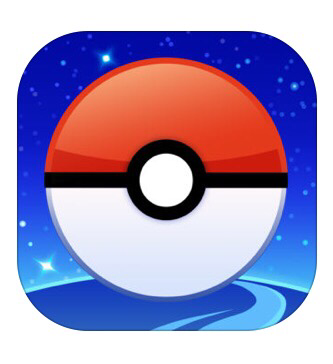 Download Pokemon Go and explore the world with something your child likes. My wife and children are all playing Pokemon together and are having fun with it (go team Mystic by the way). Pokemon is on the path to break a lot of records in the mobile gaming world and has already captured the top spot on app stores as the most popular app in July of 2016. This will be the first of more augmented reality apps and a new generation of Pokemon hunters. As the games slogan says ‘Catch them all’. Good luck in your hunting adventures, I must wrap this up now due to a Pikachu being in my area. It’s time to go hunt Pokemon.